This post was inspired by one of my readers from Europe. Felix recently switched from Aperture to Lightroom and now he is struggling to find the right organizational system for his photos in Lightroom. My initial reply to Felix was that all of us, meaning all Lightroom users, struggled at one time or another with the organizational system and that there is, unfortunately, no perfect solution. We are all trying to find a system that fits our personal needs. Today, I want to share my own system and show you how it has evolved over the years. Quick Collection, Flagging, Starring, Color Tagging, Collections, Smart Collections. When I started with Lightroom, I tried to use all of them to come up with an elaborate system that was impossible to sustain for long. Every time I failed with one system, I would come up with an even more complex scheme. And, at some point, I realized that it was time to simplify the entire process. I decided to check what type of systems other photographers employed. That’s when I discovered a completely minimalistic system used by some wedding and event photographers. At the end of the event, even photographers import a few thousand photos into Lightroom and go through them one or two times and FLAG only photos with potential (keepers). They end up with 200-300 or so keepers and then delete the rest without hesitation. Fast and efficient. Even though I liked that approach, I knew it would not work for me without tweaking it as very often I like to go through my old rejected photos, the ones I never processed or published, and try to find missed golden nuggets. I have noticed that when you grow as a photographer, you start to look at certain aspects of photography differently, plus you learn new approaches to process photos and, very often it results in reviving some rejected, old shots. Below are two examples of very old and rejected photos I discovered in my Lightroom archives and processed recently. I used a minimalistic approach; I learned from event photographers, as the base for my own system and built upon it. When you import photos into a Lightroom catalog, the Lightroom does not organize the files for you. You can keep them anywhere you want on your computer or even on an external drive. Although it gives us full control over files organization, sometimes it can cause problems when you keep your photos in different places on your computer. Please note, when you rename a single file or move the entire folder to another location and you do it from outside of Lightroom (using Finder or Explorer for example), Lightroom has no means of tracking the changes and those files will likely be lost. 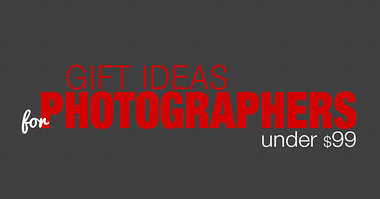 If you need to rename or move your photos, do it from inside of Lightroom. In order to prevent accidental removal of the files from a Lightroom catalog, I keep photos in one location and make sure that I never move them around or rename them outside of Lightroom. Below is the schematic view of the folders organization of my photos. This is exactly how my photos are organized on my computer’s hard drive. The file structure I use is 3 levels deep. I organize photos by year and by project or location. I love this chronological organization as this is the best organization for my workflow. Because I am a travel photographer and my trips usually last longer than one day, I use location based naming convention without specific dates (month only). Depending on your workflow you can tailor folder naming for your specific needs. For example, you can make it project based and date specific: 2015-10-29 500px Photoshoot. Before I move any further, I want to stress that I do not use multiple Lightroom catalogs. I have only one catalogue for all my photo activities. I know that some photographers use multiple catalogues to separate their personal and professional photography but it never worked for me. I tried managing multiple catalogues when I started with Lightroom a long time ago and it was a nightmare. I quickly switched to a single catalogue workflow and never looked back. I create a new folder with the date and the name of my trip or the project name (for example, 2018-05 California) and set it as a destination for the import (see below). I do not use subfolders inside of the main directory 2018-05 California, I import all photos into one folder. There are many ways to batch rename photos during the import. I use a rename template approach. I created a custom template (preset) and use it with every import. The Date and File Name are set automatically by Lightroom, but for the Shoot Name I have to set a custom value, otherwise, Lightroom will set a default value as UNTITLED SHOOT. My organizational system inside Lightroom is collections based. I created the following structure inside of the Collections Panel which helps me organize newly imported photos. My first goal, after I import new photos to Lightroom, is to remove all bad shots, the ones that can never be used. For example: out of focus photos. I quickly go through all my photos and use the keyboard shortcut, “X,” to flag all rejected shots. The process goes very fast even if I have thousands of photos because I concentrate on one task only. After I finish, I delete the rejected files immediately so they do not go to my backup system. The next step is my favorite. I go through the photos again and, with the help of the shortcut, “P,” (P is for PICKED) I flag all photos which have the potential to be processed and published (keepers). Once again, I only concentrate on one single task. I am not trying to grade picked photos or set star value. 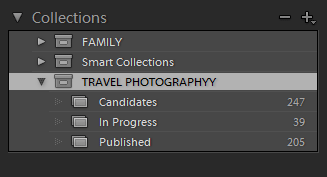 When I am done, I select all flagged (picked) photos and drag them to the CANDIDATES collection inside of TRAVEL PHOTOGRAPHY collection set (see image above). Please note, when you add photos to Collections you do not actually move the original files, you only create a reference (shortcut) for easier organization. Now, when I need photos to publish on my blog, I go to the CANDIDATES collection and pick 3-4 photos I like and drag them to the IN PROCESS collection and remove them from the CANDIDATES collection at the same time. In order to speed up the process of editing photos in Lightroom, I use Lightroom Rapid Editing. I use my Preset Collections to apply a variety of looks and styles to my photos and see which look I like and what direction I want to take. If you are interested in exploring Lightroom Rapid Editing, check my Introduction to Lightroom Rapid Editing tutorial. The photo can stay in the IN PROGRESS collection for anywhere from a couple of hours to up to few months, depending on how fast I can process them. Sometimes I start editing one photo but get bored with it and move to another so processing time can vary. When I finish with processing and I have a final JPEG image uploaded to my SmugMug portfolio for image hosting and safekeeping, I move the original photo file from the IN PROGRESS to the PUBLISHED collection. This way I have easy access to all source files of my published photos. 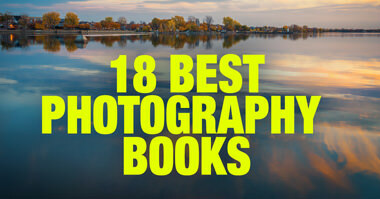 The photo is hosted on SmugMug. It is easy for me to link it to this article. In the future, I have an option to go to the folder 2018-05 California to where I originally imported the photos, filter all unflagged images and see if I missed anything interesting. I use the same workflow for my family photos. I have dedicated the FAMILY collection with an identical collections structure inside. I always try to improve my organizational system and if you have a suggestion or you want to share your own system, please leave a comment below. Thanks Viktor for that useful commentary on your workflow. I have a question. I also use a single catalog. How do you manage (if you do) processing a file in photoshop, and also converting .NEF’s to .DNG’s and which files do you keep as sources and why? I can end up with a .NEF, and a .DNG and sometimes a .tif (which is always huge so I have a small for screen) and .jpg. I was never convinced that DNG is the way to go. I only import and edit original RAW files in Lightroom. I do not import my PSD files into Lightroom catalogue, I keep separate archive outside of Lightroom for PSD files. But my tone mapped HDR tiff files are stored in Lightroom, next to original RAW brackets. I use a catalogue for every year. And my fotos in that year and all the years in folders. Like travels, family, Palma ( my town) , and miscellaneous . Never a problem. Ah tambien a folder animals and flowers. And that Is it. Viktor, I follow a similar approach for file organization. I have learn from you, the convenience of file renaming. Where in LR can I find the preset that you named MASTER_RENAME? 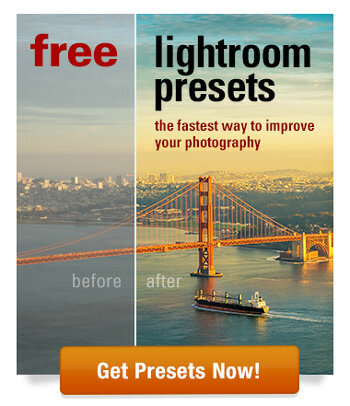 I’m confused about “creating your own preset”. Can you explain that just a bit? Please and thank you! question…..after marking all your rejects with an “X,” how do you delete all at once? is that possible? In Library module of Lightroom use filter to display only rejected images. Select All and delete. Ahhhhhhh…….yes. That makes perfect sense. Thanks!! On a PC use Control and Backspace and it immediately deletes all “X” photos – after asking is that what you want to do. very useful shortcut, I did not know about it. Thanks for sharing. You also have, at least in Windows, an option of the menu Photo “Delete all rejected photos”. Do you keep the original raw file and the end result hi-res jpeg file in the same folder and collection? I save all final JPEGs to the separate folder called Portfolio, re-export them back to Lightroom and using SmugMug Lightroom plugin upload them to the cloud. This way I always have access to all my processed photos. Hi Viktor, wonderful workflow, fast and effective! I have one question though, what do you mean by re-exporting to Lightroom.. how do you fit the exported JPEGs into your Lightroom to avoid overlapping with the “originals”? It is very often when I finish my editing workflow in Photoshop. I save final JPEG to my master folder and jump to Lightroom to bring new image to catalog. When I finish my editing in Lightroom this step in not necessary. Thank you! I like your systematic system. I use something quite similar – for the hard drive original files storage: single “1 Photos” main directory with sub-directories first by category (1 Portfolio, 2 Trips, 3 Family, 4 Track & Field, 5 Work, 6 Home, etc.) and then subdirectories organized by date (year month) and location (Morocco) or subject (e.g., 2013-09 Lori Wedding). By using numbers and dates, I can keep everything ordered as I like. At importing into Lightroom I uncheck total duds, then import as DNG using a custom setting based on capture date yyyy-mm-dd_sequence_shootname. Like you, I then assemble a smart collection, but use 1 star (stars are recognized across multiple programs and pick flags are not) or X for selection or rejection to form the basis for a smart collection. I only work in collections to avoid multiple copies of files or subdirectories and publish to Smugmug. That said, I really like the use of the three collection groupings – e.g., candidates, in progress and published. The published are handy since reverse downloading from Smugmug is funky. I backup my catalog weekly and then synch the main photos hard drive (where the catalog and presets are stored) with a second separate dedicated photos backup hard drive. This allows everything to be mobile and not tied to the desktop hard drive as well as avoiding problem with array approaches that are two drives in a single box. Many thanks for your stimulating and very practical approaches as well as the valuable presets. Looking forward to more of your helpful posts. thanks a lot for sharing you system. I had similar HD file organization, but I found that Portfolio, Trips, Family, Work often overlap and I decided to use virtual organization with tags instead. At the same time there is no perfect system, all we can do is to customize it based on our needs and habits. I am a new subscriber. Thanks for sharing your system. During my import, I assign 3 stars to all my images. Then during the selection process, I apply a filter of showing images equal or greater than 2. Then I simply assign 1 star to all the files to be discarded, and they disappear from the display, thus leaving a relatively simpler and less no. of images to see. The 1 start images are then deleted after taking a quick glance to see if I made any mistake rejecting any. Your tip for the Process Stage collections is really good and I am starting with it now! Thanks again. Can you batch rename post import, I’m just starting to use Lightroom and have just imported my old library but it needs to be sorted out into a usable way. yes, you can. In Library module, select all photos you want to rename, go to top menu Library > Rename Photos. At the same time it is not necessary to rename files at all, Lightroom does not rely on file names heavily. Use tagging, flagging and collections to organize your library. Merci Beaucoup pour ces précieux conseil que je commence à appliqué dans mon flux de travail. I use almost the same system. After a few years of not being organized I started trying different approaches and settled into one like you use. I choose different names but they are alike. One other folder I create and sometimes can be more than on is a print collection. When I do have images to print I create a folder for each size. This way when I go to those that need to be printed they are right where they belong, and I always print right from LR. Wonderful and Extremely Useful instructions. Thank you. Thanks Viktor for the useful guide. I have not been doing automatic file renaming but will from here out. I already use a similar HD folder structure and workflow using reject and pick (though I do those in one pass). I’m a little suprised you do not use smart collection sets. I have a template set of smart collection settings which I can load quickly for each shoot. This avoids dragging and dropping pictures among different categories, Lightroom does it automatically based on the metadata). I do have a bunch of smart collections like: starred, picked, for individual lenses and cameras but I rarely use them. The only one which I found useful is FAMILY but I did not think it was essential part of my organizational approach so I omitted it. Hi Viktor, great stuff. Thanks. Just 1 question please, does the final JPEG only reside now on SmuMug or does that also get moved to the Published collection along with the RAW files? Thanks. I have a separate Collection called Portfolio where I store all final JPG images. I did not mention it in the article because I often do final touches in Photoshop and I just did not want to complicate the outline of the workflow. Storing the final JPGs in Published collection or in a separate one is the minor variation. Good tips to get organized in Lightroom! I tried multiple catalogs also and it was a disaster. I was worried that one catalog would slow the system down but as long as you keep the Catalog Settings in check it won’t get bogged down. The problem with Lightroom is it is slow no matter how big your catalog. Adobe has to address this issue. My Catalog has 100K photos and it is not much slower compared to 10K catalog my friend has. Frustrating. Viktor, is the last photo from Dead Horse Point SP in Utah? It does not look like Horseshoe Bend in AZ. We are going to be in UT next month and are planning to go to Dead HP SP. Wondering if this is what we have to look forward to. I love the information in your articles, but also love your related photos and wonder if you could provide more of the usual photo descriptive metadata and location info on them as well. We learn from that info also. Keep up the good work, both shooting and processing. How do you back up your photos? The catalog I realize can be backed up within lightroom settings, however was not sure how to back up so that it is recognizable in the future by your catalog? Do you have a system for this? I ask because I am considering moving from Mac photos/iphotos to LR for my family photography hobby. I have 15 year of photos, and want to be more organized. I had a harddrive crash and needed data recovery services recently (COSTLY!). I like LR because it has a nice organizational structure that you create, and can see on your drive, however what if lightroom isn’t around in 10 years….are these LR folders readable by other software? Thanks! Any books or videos you recommend to help a novice get started? I do not think you can find any books on this topic but it is not very complicated. Buy big external hard drive, it does not have to be fast, sign up for Crash Plan (less than $10/month), move all your old photos under one umbrella and Crash Plan program will back up everything for you locally (external HD) and to the cloud.